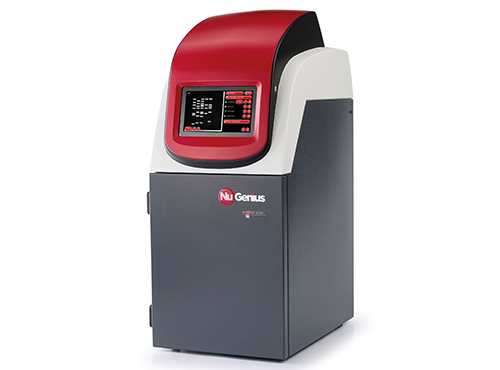 The NuGenius gel imaging system is easy to use and quickly generates high-quality images of DNA gels to suit laboratories looking for a sensitive, affordable routine gel imager. Complete with a high-resolution 5-million-pixel camera, UV filter, and integrated processor, the NuGenius provides quick, accurate DNA imaging. The system features a touch screen controlled by image capture software that rapidly generate images for a wide range of fluorescently labeled gel types. The NuGenius is flexible, able to visualize DNA and protein gels using popular dyes such as Coomassie Blue, GelGreen™ SYBR® Safe, SYBR® Gold, and SYPRO® Ruby. Images can be saved for detailed evaluation, such as molecular weight analysis, on a researcher’s own computer using GeneTools software, which is provided with the system at no extra cost.